The accordion is a relatively new musical instrument, making valuable vintage accordions a rare and unique find. A vintage accordion is one with some value as a collectible or antique in addition to its value as a playable musical instrument. Truly rare and precious vintage accordions are quite unusual, both because the instrument is a relative newcomer to the musical world and because most accordions were produced for a mass consumer market and have not acquired a great deal of value solely as collectibles. Vintage accordions from more reputable makers are more desirable, as are those that have been cared for, have aged well, and remain playable. The history of accordions is a relatively short one. Early versions appeared only in 1829, so no vintage accordion can possess the age and historical value that certain examples of other musical instruments might hold. An example of one of the earliest accordions would certainly qualify as a vintage accordion, but these are quite rare. Accordions enjoyed tremendous popularity as musical instruments throughout Europe and Russia during the 19th century, and many immigrants brought them to the United States and other colonial destinations. They were primarily a working-class instrument and were popular with people of modest means from German factory towns to Russian peasant villages. Early accordions were associated with Polka music, which was the rebellious rock music of its day. Any vintage accordion from this period, therefore, is likely to have been played vigorously and is apt to show signs of wear. These instruments remained popular into the 20th century, and in some places became more acceptable in high society. Accordions produced for higher-class customers were both more expensive and of higher material quality. A vintage accordion of such a variety and from one of the better brand names, such as Hohner, is an excellent collectible. Many different types of accordions are available. All accordions consist of a squeezable bellows, from which the nickname "squeezeboxes" is derived, and all use air from that central reservoir to produce both a melody and a baseline. A variety of keying systems exist for accordions, however. Some use buttons to determine which notes are played, while others employ small piano keyboards for that purpose. Either a button accordion or a piano accordion can be a vintage accordion, as both styles date back to the early days of accordion construction. 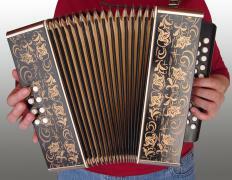 As a general rule, complexity increases with the quality of accordion construction. Inexpensive models tended to feature a simple button arrangement and fairly flimsy overall construction. Better brands and models had studier construction and more sophisticated controls. When shopping for a vintage accordion, it is generally wise to assess the playability of an instrument, as this is a good indicator of both the value of the instrument and of how well it has been cared for. What Is a Button Accordion? What Are the Best Tips for Buying a Used Accordion? 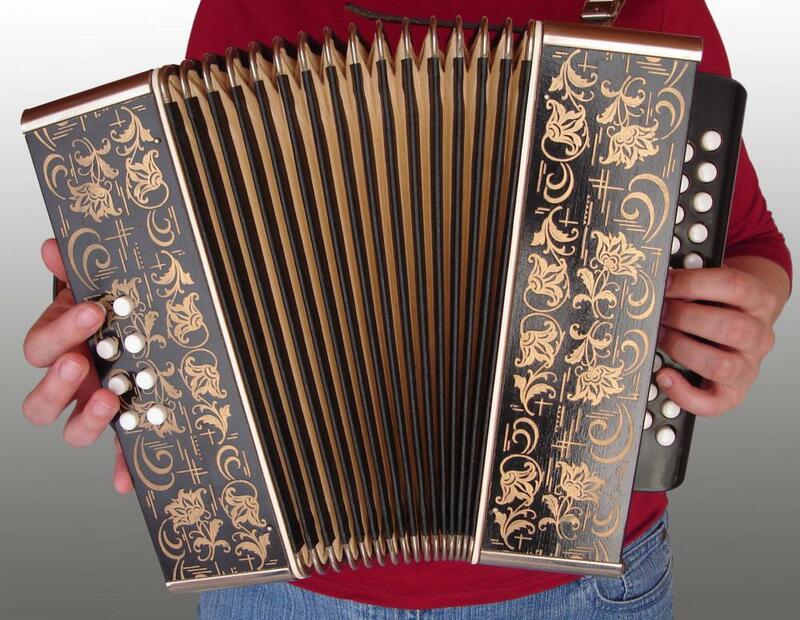 What Are the Best Tips for Buying a New Accordion? What Is a Piano Accordion?